Home AgeWise How Sweet It Is…but Watch Out! A report came out last week from the JAMA Internal Medicine, a highly respected medical journal. The report was about a link between heart disease and sugar that was discovered back in the 1950s. While research in the 1960s increasingly confirmed the role of diet in general and of sugar in particular, soon studies began to focus on saturated fat and cholesterol as the main culprits. Before long, low-fat foods flooded the market and shaped diets across the country. The number one cause of death in this country is heart disease, so it’s important to understand what contributes to it. According to the report, the sugar industry has been distracting us from the truth by promoting research that shows saturated fat to be the problem, not sugar. Decades ago, the cigarette industry argued that their products had nothing to do with lung cancer and emphysema. Now we find the Sugar Association denying any relationship between sugar and cardiovascular disease. In an earlier post, I described how I’d made some adjustments to my eating habits after learning about the raw foods and plant-based diet promoted for cancer patients. Part of those adjustments was reducing the amount of sugar I consumed. For most of my life I’ve been a big sugar addict. I considered dessert to be the main part of a meal. But back in the spring, I began substituting fresh fruit for dessert. I gave up my beloved peanut M&M’s and limited myself to a couple of squares of Ghiradelli 72% dark chocolate instead. Avoiding cancer was my motivation. Soon, I began seeing my weight drop and the next time I visited my doctor, I got some great test results. I still crave sugary snacks now and then, but it helps when I remember that too much sugar triggers the same type of chemical reaction in the pleasure center of the brain that drugs like cocaine and heroin do. And like a drug, once I start eating lots of sugar again, I am back to being unable to resist it. 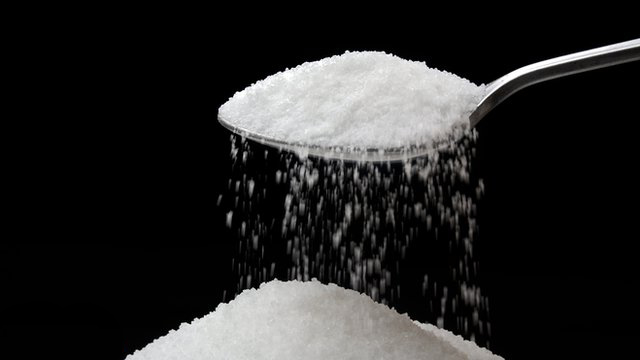 Americans consume between 1/4 and 1/2 pound of sugar a day. That sounds incredible until you realize that sugar is everywhere. It shows up in 75% of packaged foods and in some foods we wouldn’t expect. I quit smoking cigarettes in the 1980s and improved my chances of not getting lung cancer. Sugar is another addiction to battle, but I figure my heart health is worth it. Do yourself a favor. The next time you want to “reward” yourself with a bag of doughnuts or a box of cookies, stop and think about the news that was hidden for so long: there’s a deadly link between heart disease and sugar.